The history of Kyrgyzstan goes back more than two thousandyears and Kyrgyz are one of the oldest peoples of Central Asia. The early Kyrgyz people, known as Yenisei Kyrgyz, have their origins in the western parts of modern-day Mongolia and first appear in written records in the Chinese annals of the Sima Qian‘s Records of the Grand Historian (compiled 109 BC to 91 BC). The Chinese chronicles said that in 201 BC, the ruler of the Hun empire Mode overseen Kyrgyz kingdom.The Kyrgyz were described as having “red hair and green eyes”. Later the Kyrgyz were a part of different confederations of Turkic peoples and lived in the upper Yenisei river in Southern Siberia and in Central Asia. In VIII century Kyrgyz ruler Barsbeg in Southern Siberia sent embassies to the Chinese Court and established a military alliance against Uyghur Khaganate. After defeating the Uyghursin 840 AD, the Kyrgyz established their first ancient state Kyrgyz Khaganate, which covered vast territories of Siberia and Central Asia. Kyrgyz Khaganatemaintained their dominance over this territory for about 200 years. In X-beg.XIII century confederation of several Turkic tribes established Karakhanid khanate on the territory of Central Asia, including Kyrgyzstan, which brought Islamic culture and a rapid rise of urban culture, writing, literature, and history. The main cityBalasagunof the Karakhanid state was located not far from Tokmok, which is a small town in modern Kyrgyzstan. It was the birth-place of the famous medieval poet Yusuf Balasaguni, the author of the poem “KutadguBilig” (Blessed Knowledge), the first literary work in the Turkic language. In 1207, after the establishment of Mongol empire, Genghis Khan’s oldest son Jochi occupied Kyrgyzstan. The state remained a Mongol vassal until the late 14th century. Since the middle of XVII century to the middle of XVIII Kyrgyz defended their independence against invasion of Jungar khanate. In the mid 60-ies of the XVIII centurySouthern Kyrgyz, and then in the 20-30-ies of XIX century northern Kyrgyz, fell under the influence of the Kokand Khanate. In 1867 Kyrgyzstan joined Russian Empire. The accession process has led to a gradual change in the economy and life style of the nomadic Kyrgyz people. However, the policy of Russia led to an uprising in 1916, which ended in tragedy. The Great October Revolution (1917) in Russia, established socialist system and greatly transformed Kyrgyzstan, which became one of the 15 republics of the USSR. It has developed country’s education and health system, industry, transport, communications, agriculture, trade and other services. In general, it successfully solved the problem of employment and raised living standards. Since 1991, after the collapse of the Soviet Union, a new page in the long history of the Kyrgyzstan has begun. On August 31, Kyrgyzstan declared itself a sovereign state and entered a phase of liberal reform. The high degree of corruption, along with authoritarian power of the first two presidents led Kyrgyz people twice to overthrow its regime of power (24 March 2005 and 7 April 2010). After last revolution Kyrgyzstan finally established a parliamentary republic to avoid any other authoritarian regime under presidential system. Today Kyrgyzstan is steadily developing on the way of democracy and liberal economy.It is a member of such important international organizations as UN, SCO, WTO and Eurasian Economic Union of Russia, Belarus, Kazakhstan and Armenia with market of 180 mln. people, and others. The GDP growth in 2017 was about 3.5%. Kyrgyzstan is most famous for snowy peaks, high alpine meadows, broad grasslands filled with the fragrances of plants and flowers, clear mountain rivers, and serene mirrored lakes scattered among the tall peaks. Tourism in Kyrgyzstan introduces you to these wild natural spots, as well as the ancient history of the Silk Road. Traditional Kyrgyz food revolves around mutton, beef and horse meat, as well as various dairy products. The preparation techniques and major ingredients have been strongly influenced by the nation’s historically nomadic way of life. Non-Kyrgyz cuisines that are particularly common and popular in Kyrgyzstan include Uzbek,Russian, Uyghur and Dungan cuisines, representing the minorities in the country. 2.What are the major exports and imports of Kyrgyzstan? Kyrgyzstan exports goods to more than 80 countries of the far and near abroad. Russia, China, Kazakhstan, Uzbekistan, Switzerland, Turkey, the United Arab Emirates, USA, Germany, Belgium and the United Kingdom make up the major share in the formation of export markets. Deliveries of products of Kyrgyz enterprises to these countries accounted for more than 92 percent of the total volume of exports of our country. On the world market, the Kyrgyz Republic acts as a supplier of electric power, gold, cotton fiber, articles made of wool and cotton, wood, leather materials, tobacco, antimony, mercury and rare earth metals. Subsoil of the country contain large stocks of coal, gold, tungsten, tin, antimony, mercury and others metals. Kyrgyzstan takes the third place in the world on manufacture of mercury and the tenth on sale of gold. In turn, the Kyrgyz Republic relies on other countries for petroleum and natural gas, ferrous metals, coal, fertilizers and other chemical products, machinery, vehicles and spare parts, construction materials,vegetable oil, paper products, rice, agricultural equipment, medicine and medical equipment. 3.How would you describe relations between Kyrgyzstan and Pakistan? The diplomatic relations between Kyrgyzstan and Pakistan were established on 10 May 1992. At the same time Kyrgyz-Pakistani historical relations can be traced back centuries ago. Our peoples have long time and close cultural and spiritual ties. The founder of the Mogul Empire Babur was born in Fergana valley, which is shared by Kyrgyzstan, Uzbekistan and Tajikistan. His small prayer mosque on the Kyrgyz mountain Suleiman in Osh city is still preserved and became a popular place for local people and tourists. Today our countries enjoy excellent political relations and regularly exchange visits on the highest and high levels. 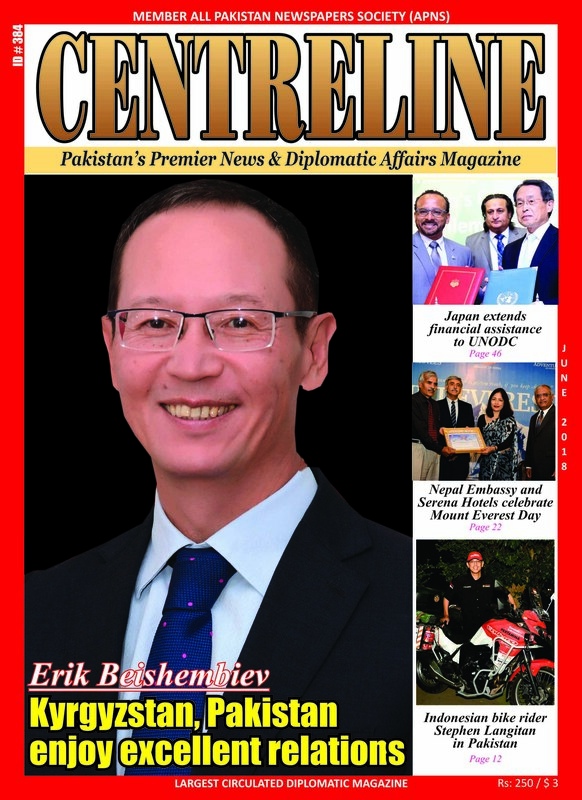 Since establishment of diplomatic relations, we exchanged presidential visits twice, Pakistani Prime Ministers visited Kyrgyzstan three time, speakers of the Kyrgyzstan parliament visited Pakistan twice and Minister of Foreign Affairs of Kyrgyzstan paid an official visit to Pakistan once. This year in February the Ministries for Foreign Affairs of Kyrgyzstan and Pakistan held first consultations. Despite active political interaction, unfortunately the level of bilateral trade and economic cooperation is currently low and does not correspond to the potential of two countries. Trade turnover is about only $4 mln and Pakistan’s investment to Kyrgyzstan is about $3-5 mln. The main export from Kyrgyzstan to Pakistan is meat and diary products, oil and oil products, raw cow and sheep skin, mechanical and electric equipment, aluminum, jet fuel and others. The main import to Kyrgyzstan from Pakistan is pharmaceuticals, textile, furniture, sport goods etc. In order to promote trade and economic relations Intergovernmental Kyrgyz-Pakistan commission was established in 1994 which held its third meeting on 11-12 January 2017 in Islamabad. Cooperation in the field of education is developing more actively. About 1000 Pakistani students are studying in Kyrgyzstan mostly in medical universities. This year the first Kyrgyz-Pakistani International Institute for medical sciences has started its work in Kyrgyzstan. The legal basis of the bilateral relations includes 35 joint documents signed since establishment of diplomatic relations between Kyrgyzstan and Pakistan. 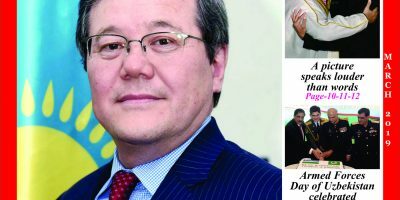 What are the key areas where both Kyrgyzstan and Pakistan can cooperate? Kyrgyzstan and Pakistan enjoy excellent political relations that should be transformed into growing trade and economic relations. Both countries are rich in mineral resources, have high skilled human resources, excellent opportunities for developing industry and agriculture, attracting foreign investments for joint production and supply of goods, including for export. Pakistan has a high demand of power energy for its growing economy. At the same time Kyrgyzstan is rich in water resources which are used for electricity production by a number of hydropower stations. My country is a member of the project CASA-1000, which is aimed at bringing surplus electricity from Kyrgyzstan and Tajikistan hydropower stations in summer times to Pakistan through the territory of Afghanistan. Kyrgyzstan is interested in development of short transportation links through its territory between Central Asia and China and Pakistan with access to the Gwadar and Karachi ports usingrailway and automobile roads, which are being constructed in the framework of CPEC. Today shortest automobile roads are connecting China to Kyrgyzstan through two border mountain passes in Kyrgyzstan – Torugart in the North and – Erkeshtam in the South, located only about 200 km from Chinese city of Kashgar. The road through Kyrgyz border post Irkestam is the shortest way from Fergana valley, which is shared between Uzbekistan, Tajikistan and Kyrgyzstan, to China. In October last year Uzbekistan, Kyrgyzstan and China, launched a test drive of nine trucks, three trucks from each country, through a new international trade route Tashkent-Andijan(Uzbekistan) – Osh – Irkeshtam(Kyrgyzstan) – Kashgar(China). The Caravan of trucks passed 920 km in 31 hours, from which 16 hours were driving time. The interest to the new trade route is due to the minimal time for the goods delivery from 2 days to 1 day however, the old rout would take 8-10 days and be more expensive. This new Uzbekistan-Kyrgyzstan-China motto corridor is expected to begin its regular activity in the current year. Our country is also a member of the Quadrilateral Traffic in Transit Agreement (QTTA) between Kazakhstan, Kyrgyzstan, China and Pakistan for facilitating transit traffic and trade on the route though high Karakoram road to Karachi port, which unfortunately currently is not working to its full capacity. The member-countries of the Agreement should intensify negotiations to facilitate the movement of goods through the borders. Currently, the negotiations on the shortest railway road China-Kyrgyzstan-Uzbekistan are in progress. After completion of this project the route from East Asia to Middle East and South Europe will be reduced for almost a thousand km. and goods delivery time – for 7-8 days. At the same time, CPEC has a railway component from Kashgar in China to Pakistani seaports Karachi and Gwadar. After construction of these two railway roads China and Pakistan will be linked through Kashgar to Kyrgyzstan and further to Central Asia. In their turn, countries of Central Asia through Kyrgyzstan and China will have short access by railway road to Karachi and Gwadar seaports and benefit from cheap sea and railroad transportation. 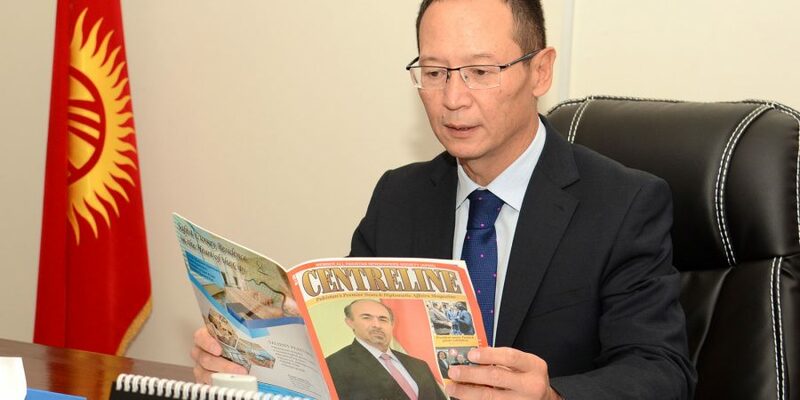 Also, our countries can cooperate in the sphere of civil aviation and opening of direct flights between Kyrgyzstan and Pakistan as currently we have only connecting routes through Turkey, UAE or China taking ten or more hours while direct flight is about two hours. 4.Cooperation in the field of security. Pakistan is playing a vital role in fighting terrorism and making efforts to preserve peace and stability inthe region. Our country can cooperate with Pakistan on security and military issues, including training of Kyrgyzstan’ssecurity and military officers at Pakistani institutions on counterterrorism, English language and peacekeeping activity. In March 2018, the Head of the General Staff of Kyrgyzstan’s Armed Forces major general R.Duishembiev visited Pakistan and discussed the ways of strengthening cooperation between our countries. In recent years higher education is developing very fast in Kyrgyzstan. We had only 12 universities before independence in 1991 and now it is 50 from which 31 belong to state and 19 are private. Many international students study in Kyrgyz universities due to high level of education and relatively low prices, including almost 1000 from Pakistan. Last year Kyrgyz-Pakistani International Institute of medical sciences was established in Kyrgyzstan and first Pakistani students will begin study there in current year. The Kyrgyz Republic has unique potential for travel and leisure for tourists and can transform into a regional recreational hub. The Kyrgyz Republic is a mountainous country, with more than 90 percent of the territory at a height of 1000 m above the sea level. The highest mountain peaks after the Himalayas and Pamir are located in Kyrgyzstan, such as Pobeda Peak (7439 m/24,406 ft) and Lenin Peak (7134 m/23,405 ft), as well as one of the longest glaciers on earth – Enilchek. One of the best known and most popular resorts is Lake Issyk-Kul, which means “the hot lake”. Despite the fact that the lake is located high in the mountains, it never freezes, the water temperature in summer reaches 24 degrees Celsius (75 degrees Fahrenheit). The entire coast of the lake is surrounded by sandy beaches, the crystal-clear lake surface, combined with the fresh mountain air creates a unique microclimate, similar to the sea. Near the coast there are many hot mineral springs and therapeutic muds. 5.What are the business prospects for Pakistani businessmen, in Kyrgyzstan? Kyrgyzstan is a member of WTO, Eurasian Economic Union of Russia, Belarus, Kazakhstan and Armenia with market of 180 mln. people. Our country is participating in European Union GSP+ system off preferential trade, which allows export of 6000 items, including agricultural and textile products to EU without tariffs. So, I would suggest to jointly find investors who can use cheap and high skilled labor force, rich natural resources including gold, coal, cotton and other agricultural products, huge hydro energy potential of Kyrgyzstan and low electricity rates, to produce goods for further export to the markets of Central Asia, Eurasian Economic Union and European Union. 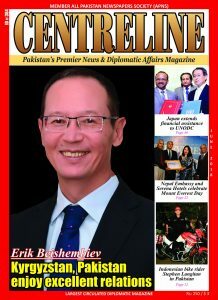 Pakistani businessmen can invest in development of a tourist infrastructure and also in creation of joint venture in agricultural sphere and techno parks as, for example, industrial-trade – logistics complex.It is obvious that many Pakistani products including pharmaceuticals, surgical instruments, textiles and leather can find a market in Kyrgyzstan. We can open joint ventures on textile production in Kyrgyzstan as my country is already a major supplier of textile goods to Russia and Kazakhstan and Pakistan is one of the world’s top textile producers. 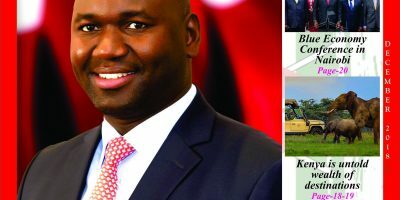 Of course, agriculture and livestock isone of the dynamic sectors, common between the economies of the two countries, where we can pool our resources and expertise to yield maximum results. We suggest also to open joint ventures in Kyrgyzstan on agricultural products processing to increase its exports to Eurasian Economic Union and European Union. 6.Anything which you would like to add? In conclusion I would like to express my best wishes of peace and prosperity to the friendly Pakistani people. I am confident that your rich and beautiful country and its talented people will have a great future.